Of the many deck contractors serving homeowners in Collinsville, Illinois, one stands out from the rest – Chesley Fence & Deck. We have been serving residents throughout the area since 1967, and we have never wavered in our commitment to providing customers with top-notch products and installation services – a claim that is evidenced by our longstanding A+ rating with the Better Business Bureau. 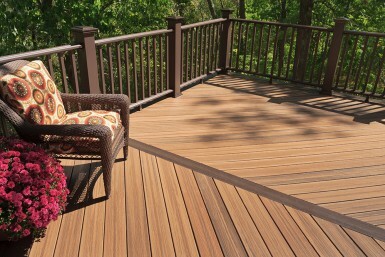 Unlike many other deck contractors in Collinsville, IL, Chesley Fence & Deck offers numerous decking options to suit the unique needs and budgets of our customers. For example, if you’re looking for a highly cost-effective option, we offer treated lumber decks, which can be stained or painted to your specifications. We also offer a premium cedar, another highly affordable option that is less susceptible to cracking and warping. As one of the most experienced and trusted deck contractors in the area, you can be completely confident that we will adhere to the strictest standards for quality workmanship when installing your new decking. 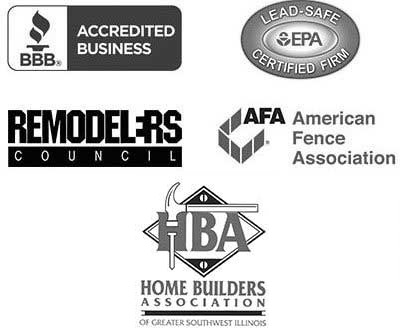 To learn more about what makes Chesley Fence & Deck a cut above other deck contractors serving Collinsville, IL, contact us today.